Hackensack, NJ -- (ReleaseWire) -- 10/26/2015 -- The Consortium of Multiple Sclerosis Centers (CMSC), the leading professional and educational organization for healthcare specialists providing care and conducting research in multiple sclerosis (MS), has issued a position statement that asserts that prescribers must retain the right to decide on the best treatment and medication for each individual MS patient. "During the past two decades, the spectrum of multiple sclerosis (MS) has been altered based on the availability of effective disease modifying agents; however, symptomatic management always has been and continues to be the bedrock of patient care in MS as symptoms impact quality of life for patients. The leadership of the Consortium of Multiple Sclerosis Centers (CMSC) has stated that prescribers must retain the right to decide on the best treatment for each individual patient. The varied and individualized course of MS mandates full access to symptomatic management as well as disease modifying therapies which, in the best judgment of the prescriber, offer optimal treatment outcomes. Medications to treat symptoms are carefully decided on an individual basis and by best practice regimens. Efforts by physicians and other prescribers to discuss and appeal coverage decisions have been thwarted by the lack of peer support at insurance companies with whom to discuss treatment needs. Lack of understanding of the disease course and the challenges of MS treatment result in poor decision making practices by the insurance plans and specialty pharmacies and subsequent denial of prescribed medications. This leads to an inability to adequately serve the people living with MS, negatively affecting the patient's quality of life. CMSC proposes a collaborative care model in which providers, patients, and insurers work together to address these concerns. The CMSC would be honored to work closely with all entities providing reimbursement and coverage for MS care and related services to provide our knowledge and expertise to enhance appropriate as well as cost-effective decision-making in MS."
Added June Halper, MSN, APN-C, FAAN, MSCN, CEO of CMSC, "We look forward to working with everyone involved in providing and prescribing MS care and treatment thus ensuring the most positive outcome for each MS patient." 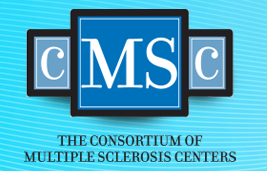 CMSC, the Consortium of Multiple Sclerosis Centers, is the leading educational, training, and networking organization for MS healthcare professionals and researchers. The CMSC mission is to promote quality MS care through educational programming and accreditation including live and online events, research grants, technical journals and papers, and targeted advocacy efforts. The CMSC member network includes more than 7,000 international healthcare clinicians and scientists committed to MS care as well as more than 60 Veterans Administration MS Programs and 225 MS Centers in the US, Canada, and Europe. The 30th Annual CMSC Annual Meeting will take place June 1-4, 2016, at the Gaylord National Resort & Convention Center, in National Harbor, Maryland.